I stopped at this historical marker while we were on the first half of our group bike ride during the Fall Dinner Party weekend at Sea Ranch. This site is located at 39463 Leeward Road, Sea Ranch, California. 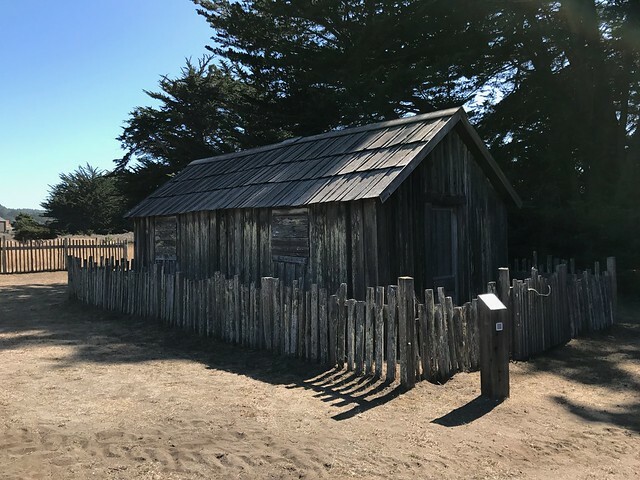 The Sea Ranch Archives Committee has identified twenty-six historic sites scattered about The Sea Ranch. They have constructed trail markers with information explaining the significance of each place. They were placed as part of The Sea Ranch 50th anniversary being celebrated from Memorial Day 2014 to Memorial Day 2015. 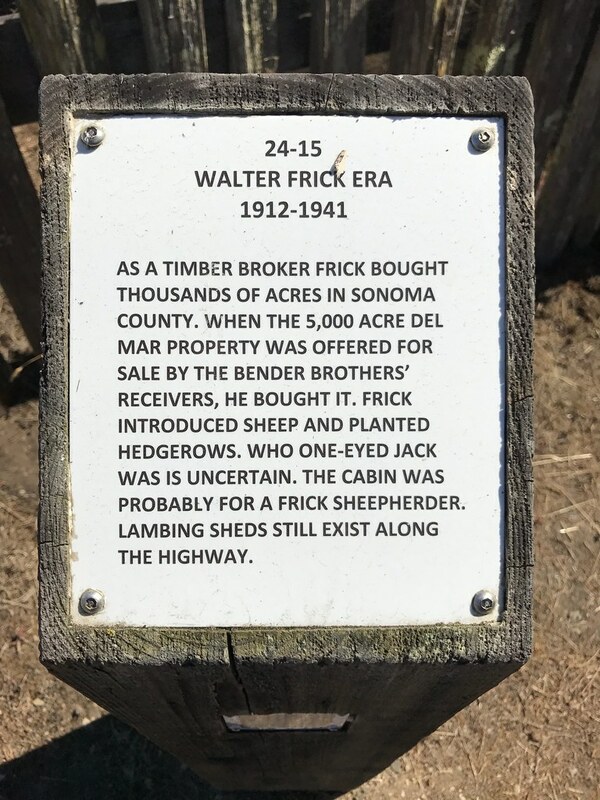 The GPS coordinates for this location are 38° 43' 46.4" N 123° 28' 55.9" W.
As a timber broker Frick bought thousands of acres in Sonoma County. When the 5,000 acre Del Mar property was offered for sale by the Bender Brothers' receivers, he bought it. Frick introduced sheep and planted hedgerows. Who One-Eyed Jack was is uncertain. The cabin was probably for a Frick sheepherder. Lambing sheds still exist along the highway.